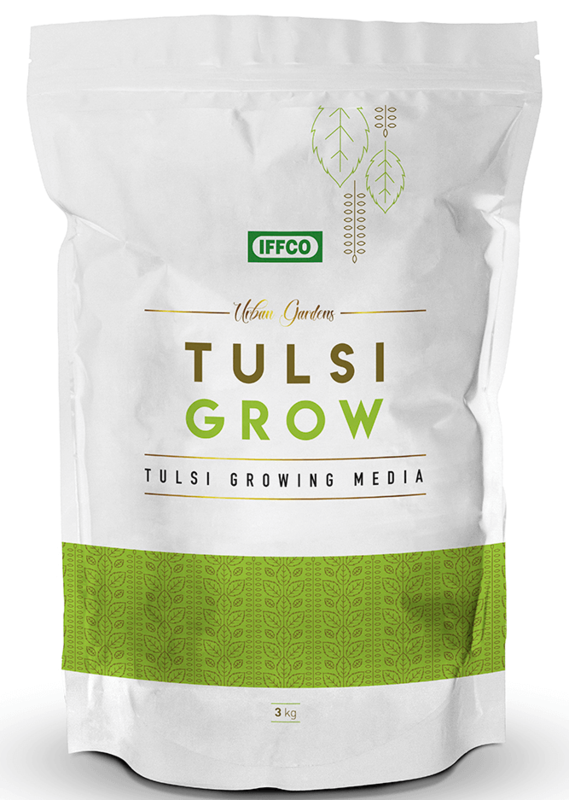 is an ideal growing media for the sacred Tulsi plant. It is a unique formulation of natural ingredients that are free from animal excreta thereby provides a perfect medium for the plant to thrive in. The media provides balanced nutrition that promotes stronger, healthier growth and ensures green foliage. The product is completely of plant origin and gives the plant vigor and provides resistance against stress and pathogenic attacks. Fill the pot with Tulsi Grow. Plant the Tulsi seed at a depth which is twice diameter of the pot. Transplant existing Tulsi plant to ensure root ball coverage and ensuring that its stem is not immersed in the mix.